The name Alfred Hitchcock isn't alien to anyone even remotely knowledgeable of the film industry. One of the most famous directors of all time and one honourably dubbed 'the master of suspense', Hitchcock's 50+ films have set numerous quality standards in Hollywood and his own style and choices have left a huge impact on their outcome. Interestingly, Hitchcock (well, along with 2012's The Girl) marks the first time the legendary filmmaker has been given his own theatrical biopic - poor box office takings and mixed reviews have made it's theatrical run very short lived, but was it deserving of such disappointment? The story centers on one of the biggest moments in Alfred Hitchcock's life - the making of Psycho, from conception to reception. Hitchcock (Anthony Hopkins) acquires the rights to the relatively unknown novel by Robert Bloch, but his controversial choice of source material prompt the executives at Paramount Pictures to cease funding the project and pay only for distribution. A keen Hitchcock mortgages his house to provide a decent production budget, but the film continues to struggle alongside the director himself, who fears his wife (Helen Mirren) may be having an affair. The endless stress during production puts his life in jeopardy, but as it comes closer to completion, light emerges at the end of the tunnel. Come on, I'm not spoiling, you know Pyscho made shitloads of money. Right? The man himself is undoubtedly difficult to portray. Alfred Hitchcock has such a unique appearance that anyone can recognize him immediately; his somewhat calm, slow and authoritative manner of speaking is something equally as iconic. How can someone capture this to a T? Anthony Hopkins in a fat suit surely isn't enough? Well, yes it is. Hopkins completely becomes not only a Hitchcock lookalike but a seemingly perfect clone right down to this mannerisms and voice. He speaks in the same calm and iconic accent with ease and provides a witty charm which Hitchcock was always known for. 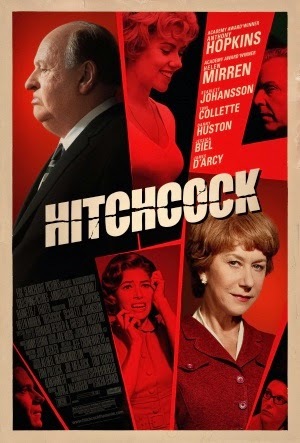 He steals the limelight with such a fantastic performance, but isn't the only one driving it; Helen Mirren is equally as strong as Hitchcock's troubled wife Alma and Scarlett Johansson (OMG YES) is just as fitting for her role as Janet Leigh, the famous leading lady of Psycho. 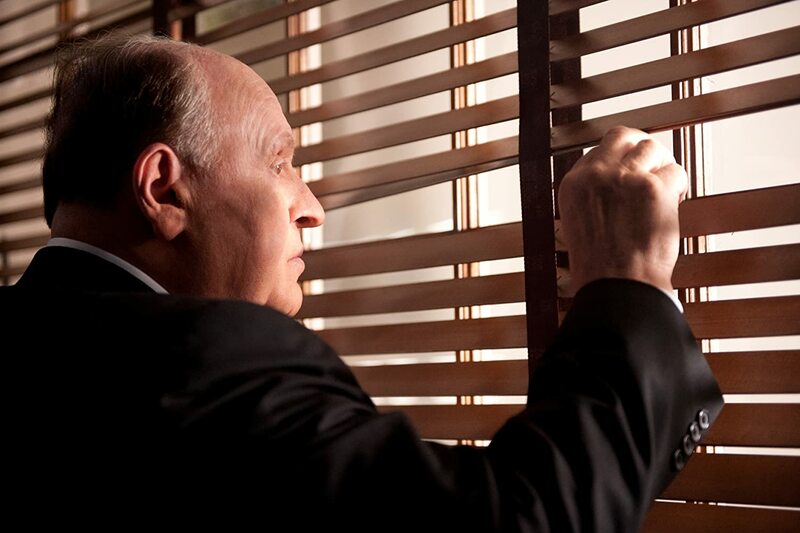 Hitchcock takes pride in bringing depth to it's characters which makes for a narrative full of heart and complexity. The image of Hitchcock is examined beyond his role as a lover of violence or beautiful blonde women; even these aforementioned ideas are explored as conflicting flaws in his life and not things to judge him for. It works as a character driven story and one explorative of a mans love for his career that sometimes cannot be restrained. It's a bit slow in areas and admittedly not consistently insightful - it inevitably sacrifices some factual depth for entertainment, but this is perhaps a good thing to some. I enjoyed it and that's good enough for me!